The body is a tangle of sensations. It’s both a source of pleasure and a confusing amalgamation of parts that don’t quite seem to function in concert. Teeming with desires and repulsions, the physical self forms the centerpiece of She of the Mountains. 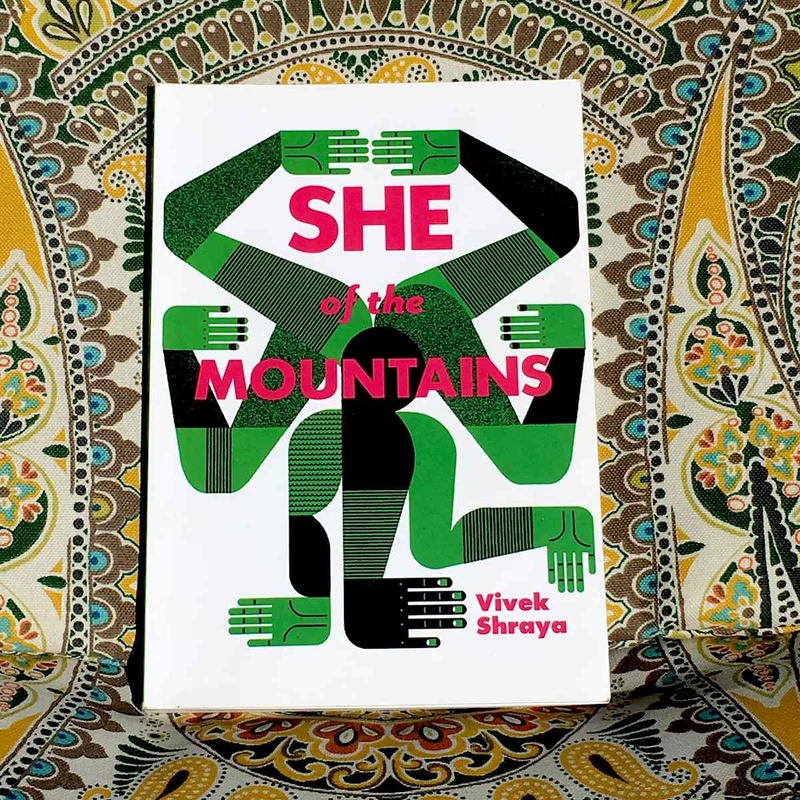 The protagonist is unnamed in this slender, poetry-drenched novella by award-winning author Vivek Shraya. He’s keenly aware of his brown body in the sometimes hostile, sometimes indifferent world of Edmonton, Alberta, as he tries to discover what it means to be gay, then falls in love with a woman, and finally begins to establish a life for himself that feels honest. A Canadian youth’s search for social and sexual identity would be fascinating enough in Shraya’s thoughtful hands, but by braiding his tale with a personalized vision of Hindu mythology, he casts it into timeless territory. The goddess Parvati describes herself as “the mother of the universe. … I am life itself, the spark that makes a heart pump, that keeps a tree alive for centuries, green and reaching.” But she isn’t immune to sorrow; a terrible error causes her beloved consort Shiv — Destruction himself — to decapitate her newly born son Ganesh in a fit of rage. Only the substitution of an elephant’s head for Ganesh’s own lets him escape death. In her own lyrical, searching words, Parvati describes her evolving love for Ganesh and Shiv, the wisdom that comes to her through incarnation in a mortal body, and even her newfound empathy for Kali’s destructive powers. Each mythic interlude in the novella mirrors the growing pains of a main character struggling to come to terms with his queerness, his brownness, and his capacity for love. With a story so bound to corporeality, Arsenal Pulp Press has gone the extra mile to make She of the Mountains into a beautiful little book. Lushly enriched by stylized two-tone illustrations from Raymond Biesinger, the novella also features silky-smooth, heavy paper and meticulous design and typesetting. When tactile and literary pleasures combine so seamlessly with a surprisingly intimate tale, the result is a volume you’ll be glad to hold in your own two hands as you read and read.